The 28-year-old midfielder has played for Gangwon FC, Incheon United, Gyeongnam FC and the Hong Kong Premier League’s Kitchee FC. 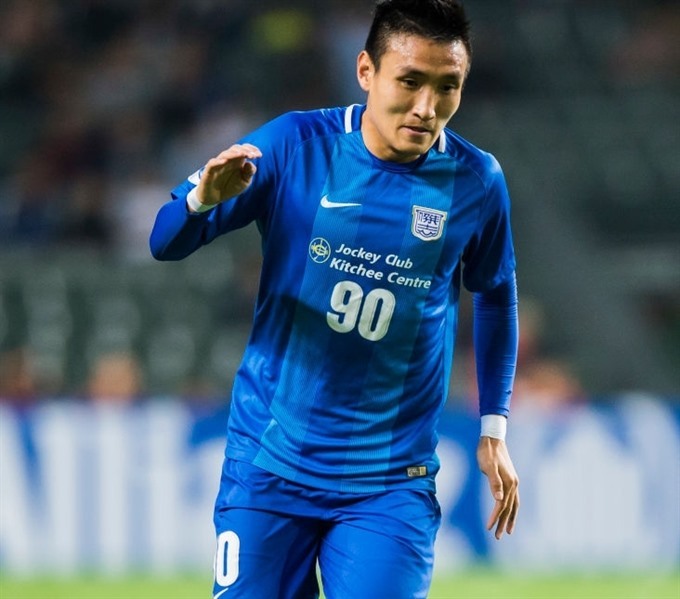 He also played in the AFC Champions League with Kitchee in 2018. "I know Hoàng Anh Gia Lai conceded 50 goals last season, so I hope to shore up the defence in the coming season," said Kim through an interpreter. Kim is the third foreigner at the former V.League champions with Jamaican striker Chevaughn Waslh and Dutch goalkeeper Wieger Sietsma. Also in transfer news, Cần Thơ FC have signed a one-year contract with defender Nguyễn Văn Mạnh. Mạnh was a free agent after ending his contract with Sông Lam Nghệ An last season. Cần Thơ also appointed Nguyễn Thanh Danh as head coach on January 29. He is currently the executive director of the club. "The coaching board and I will work hard to lift our team back to the V.League," said Danh who was a Cần Thơ player and coach in the past. As a coach Danh, helped Cần Thơ reach the V.League in 2014. They played in the national premier league for four years after dropping back to the First Division in 2018.